The AL 112 bass combo amp features a first-in-class aluminum hybrid enclosure, enhanced with specially engineered wood baffles and high-performance ceramic drivers. It's lighter, louder, and more versatile than traditional combo amps. And the sound is something you just have to hear to believe. Epifani sound means broad clarity of midrange, a full, fundamental low end, and singing, upper register highs, all played with the fastest, most powerful dynamics available. All of your notes are full, round, and defined. That’s what makes Epifani tone sought after by the world's best bass players. AL 112 is the world's first bass combo amp to utilize solid-aluminum for the main enclosure shell. Aluminum's unique properties allow for a superior strength-to-weight ratio, enabling us to use the latest high-performance ceramic drivers, yet achieve a lower weight over similar neo-based wood cabinets. The bowed, trapezoidal structure dramatically improves frequency response and power output without unwanted tonal coloration. 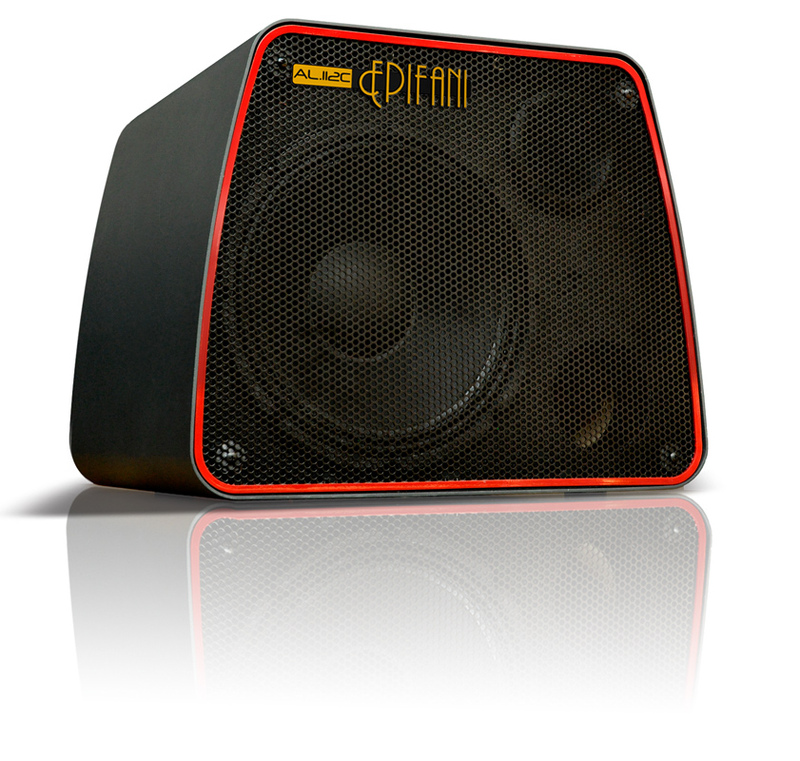 Epifani TOUR cabinets include unique 10- and 12-inch speakers designed in partnership with Eminence. The enhanced, light-weight design delivers full-spectrum sound in any room. And, a unique suspension system prevents creasing and tearing. The result is a speaker that produces world-class sound, stands up to the rigors of the road, and never lets you down. Superior construction means ensuring that components like the crossover, back panel controls, and every single joint is absolutely airtight. When air escapes from regular amps it makes noise and takes the power out of your sound. Epifani cabs are built to exacting tolerances to keep your sound moving in the right direction. The front baffle is braced to prevent any loss of projection when the speakers push back. Additional bracing and acoustic insulation stop unwanted frequencies and standing waves that could muffle your tone. The result is a cleaner, more focused sound and faster projection than any other cabinet available.